Asparagus is in season, so I couldn’t wait to make one of my favorite, super simple springtime recipes starring this beauty detox vegetable. Check out all the cool things asparagus helps your body do! To prep asparagus spears, you’ll first need to snap off the “tough” bottom part. Hold the spear with both hands and bend until the bottom snaps off. It will naturally break off where the tender portion ends and the tough, woody part begins. Use one spear as a guide for where to cut the rest of the bunch. One of the tastiest ways to prepare asparagus is to roast it, but I also enjoy it in salads and soups. If you prefer, you could grill this recipe, too! 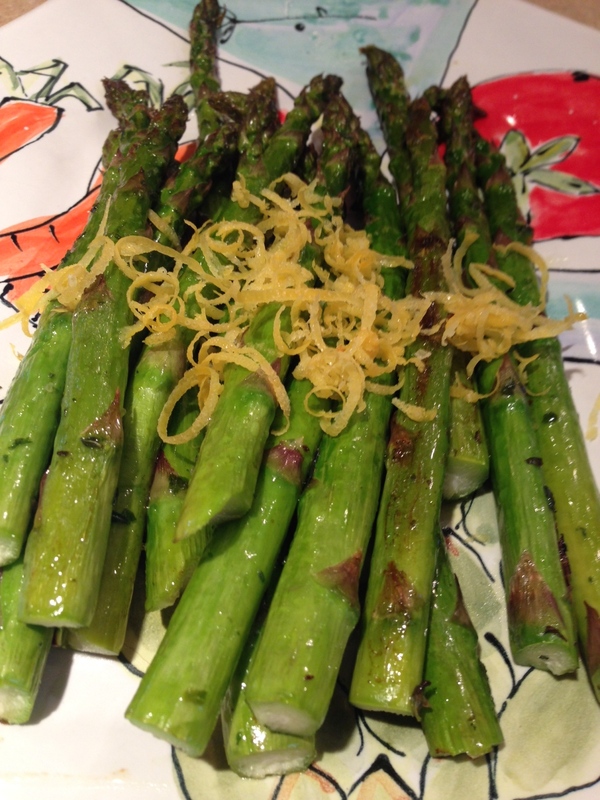 Remove the asparagus from the oven and dust with lemon zest. Add more salt and pepper to taste. Squeeze a little lemon juice on top for extra flavor, and top with toasted almond slices for some crunch! Is it your first time trying asparagus? You might notice that your pee smells funny when you go to the bathroom after eating asparagus, but that’s totally normal!